ABC reports that Banner hospitals have banned elective Cesarean sections as well as scheduled labor inductions! How awesome is that?! They still provide these services when mother or baby's health is at risk, but they are admitting there are risks involved in doing these things for no medical reason. Read the entire article here. Peaceful Parenting published a Joy of Nursing Toddlers Photo Gallery! If you love nursing photos like I do, you won't be able to keep from smiling and sighing as you scroll through the images! Tandem nursers, Gymnurstics, toddlers nursing and looking directly into the camera... this gallery has it all! I've even submitted a photo now. Enjoy! As you may have read, my newest doctor suggests I wean our toddler for the sake of our unborn child. I've dug up a FAQ from Le Leche League International regarding Breastfeeding During Pregnancy. I'm thinking of printing it for the doctor! They also have an article published in their bimonthly publication, Nursing Through Pregnancy. Don't forget! 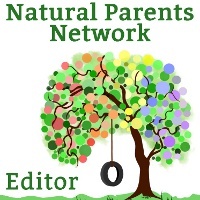 Natural Parents Network is carrying over my pStyle giveaway for a few more days! Go check it out and enter (on one site or the other)! Thanks for checking in here. I hope you found these links helpful in one way or another. Have a safe Independence Day! Can't wait to check out those pics of the nursing toddlers! You should DEFINITELY print out that info for your dr about nursing!